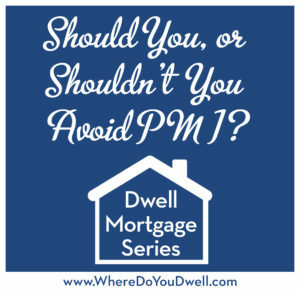 Should You or Shouldn’t You Avoid PMI? This week you’ll learn all about Private Mortgage Insurance (PMI) and ways you can avoid this extra cost to your mortgage. However, having PMI can be a good thing for YOU and we’ll tell you why. Do you worry about PMI payments since you’re not able to put 20% down on your new home? You’re not alone since many first-time buyers don’t have the cash for a large down payment, which means there’s a good chance of needing private mortgage insurance (PMI). A lender usually requires PMI if you can’t come up with a 20% down payment for a conventional loan. It’s an extra payment on top of your regular monthly mortgage payment. This insurance protects the lender in case you default on your loan. They have taken on more risk by lending 80% or more of the cost of the home to you. At this point, you will have only a small amount of equity in your home. PMI also can be required for FHA loans with only 3.5% down. These payments typically cost $20 to $50 per month per $100,000 borrowed depending on what percentage you put down, your loan amount, and your credit score. PMI can be cancelled once you accumulate 20% equity in your home for conventional loans, but FHA loans require it until the loan is paid in full. Should you or shouldn’t you avoid PMI? 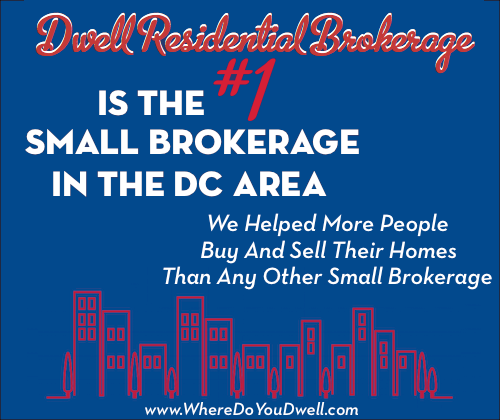 This is a common question many buyers tackle … and get confused about! You’re probably wondering if PMI is as bad as some friends say OR is it just “a fact of life” when buying a home that others may say. We understand how you’re just not sure what to do, if anything. We’re here to help you figure out what is best for YOUR specific situation. For example, not every buyer can deduct PMI payments on taxes. There can be pros (yes, there are some!) and cons to being required to take out PMI. Look for first-time home buyer programs that allow for low down-payments and waive PMI if you have good credit. There are local and state programs out there for moderate income buyers. We can help you find such programs. If you have good credit, some lenders will work with you and offer you the option to “buy out” the PMI by taking a slightly higher interest rate, perhaps 0.125-.25% more. This option could be less expensive in the short term if plan to stay in your home for only 5 years or so. Even though the interest rate is higher with this option, your monthly payment will actually be lower than if you were to pay the PMI as part of your monthly payment. Plus the increased interest would be tax deductible while your monthly PMI payments are typically not. However, you may want the lower interest rate at the get-go if you plan to live in your home for 10 plus years. The benefit of the lower rate in the long run may be better than avoiding the PMI payment. You’ll need to weigh the costs for this option. Shop around and look into credit unions or other small lenders who may be more willing to work with you if you have good credit even though you don’t have 20% for a down payment. They may be willing to take a “risk” on you and waive the PMI. Ask your lender about loan options that will help you avoid PMI. One option is called a piggy-back mortgage such as a 80/10/10 – where you put down 10% of the value of the home but take out two mortgages, one 80% of the total value and the other 10% of the value. This smaller piggy-back loan can be an ARM, or have balloon provisions, and is usually riskier than a 30-year fixed loan. Another piggy-back loan option is 80/15/5 – where the buyer puts 5% down and then takes out two loans, one for 80% and the other for 15% of the value. Works basically the same way as an 80/10/10 but with smaller down payment. Some lenders may allow you to pay PMI upfront, in cash, rather than have to deal with the additional monthly cost. By paying upfront, the lender will give you a discount off the total PMI cost. Have a one-time upfront fee included in the outstanding loan balance that will be amortized over a period of 25 or 30 years. That way the monthly cost is much smaller since it is spread out over the life of the mortgage. PMI is not always deductible so that can be a factor in your decision to avoid it or not. It’s deductible when a married taxpayer earns less than $110,000 per year (in adjusted gross income). For married couples filing separately, it’s less than $55,000. So if you’re above this threshold, than you won’t be able to deduct it. Here’s where putting a larger down payment if possible can be preferable since the interest on the loan is deductible. Paying PMI means you can buy your home now and not delay homeownership. It actually may cost you less than you think in the long term. Why? It could take years to save up for a larger down payment, which means more years of renting and not investing your money in a home that you own. You’re “wasting” money on rent that goes toward nothing, kind of like PMI. So what’s worse to you? Once you save up for a larger down payment, you most likely will face higher home prices and perhaps higher interest rates, costing you more in the long run than if you paid PMI with a home bought earlier. If interest rates are low, you might not want to delay and get into a home despite the PMI payment since the lower interest rate will cancel out this additional monthly cost, especially if you live in your home for a longer time. Paying PMI could be worthwhile if it allows you to buy a home in a thriving housing market rather than delaying for a more uncertain market. You will benefit from the rising home prices since you’ll get to 20% equity sooner as the value of your home will increase. That means you can cancel your PMI! It’s not wise for any buyer to put all of his/her savings into a down payment. That’s when paying PMI may be worth it so you won’t wipe out your savings trying for the 20% down. Having PMI means you’ll get used to budgeting for this payment each month and once it’s cancelled, you could use that money toward paying down the principal balance on the loan. That’s always a good thing! There are good reasons to avoid PMI. We’ve covered several options you can take. On the other hand, it might make more sense to pay PMI if it gets your foot in the “homeownership” door sooner. Our How to Get the Best Mortgage Series is winding down. Next week, is our last installment and it’s a good one – How to Lock in the Best Rate in Town.